Looking to save money on your next projector purchase? Watch for our handy and icons, which alert you to these rebates and special offers throughout the rest of the website. 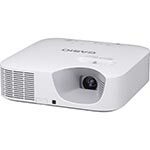 Casio XJ-F100W Casio educational customers who purchase an Advanced Series (XJ-F) or Ultra Short throw (XJ-UT) series projector qualify for a full five-year all parts and all labor warranty at no additional cost. Click here for rebate claim form. Offer good 7/1/2018 through 12/31/2020. 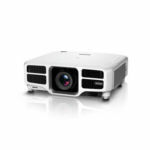 Casio XJ-F10X Casio educational customers who purchase an Advanced Series (XJ-F) or Ultra Short throw (XJ-UT) series projector qualify for a full five-year all parts and all labor warranty at no additional cost. Click here for rebate claim form. Offer good 7/1/2018 through 12/31/2020. Casio XJ-F20XN Casio educational customers who purchase an Advanced Series (XJ-F) or Ultra Short throw (XJ-UT) series projector qualify for a full five-year all parts and all labor warranty at no additional cost. Click here for rebate claim form. Offer good 7/1/2018 through 12/31/2020. 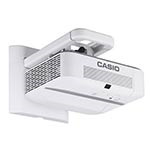 Casio XJ-UT311WN LED Casio educational customers who purchase an Advanced Series (XJ-F) or Ultra Short throw (XJ-UT) series projector qualify for a full five-year all parts and all labor warranty at no additional cost. Click here for rebate claim form. Offer good 7/1/2018 through 12/31/2020. 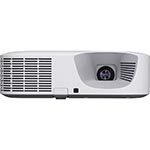 Casio XJ-UT351W Casio educational customers who purchase an Advanced Series (XJ-F) or Ultra Short throw (XJ-UT) series projector qualify for a full five-year all parts and all labor warranty at no additional cost. Click here for rebate claim form. Offer good 7/1/2018 through 12/31/2020. 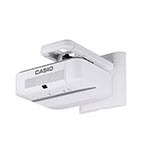 Casio XJ-UT351WN Casio educational customers who purchase an Advanced Series (XJ-F) or Ultra Short throw (XJ-UT) series projector qualify for a full five-year all parts and all labor warranty at no additional cost. Click here for rebate claim form. Offer good 7/1/2018 through 12/31/2020. 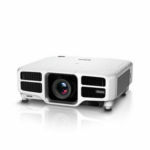 Epson Home Cinema 5040UB 3D 4K Enhancement Purchase an Epson Home Cinema 5040UB (V11H713020) or 5040UBe (V11H714020) projector between April 1, 2019 and May 30, 2019 and receive a replacement lamp for free Click here for rebate claim form. Offer good 4/1/2019 through 5/30/2019. 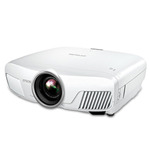 Epson Home Cinema 5040UBE 4K Enhancement Purchase an Epson Home Cinema 5040UB (V11H713020) or 5040UBe (V11H714020) projector between April 1, 2019 and May 30, 2019 and receive a replacement lamp for free Click here for rebate claim form. Offer good 4/1/2019 through 5/30/2019. 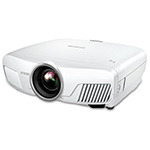 Epson L1100UNL Get a free projector lens when you purchase this projector (up to $2,999 value). Please call to specify lens model. Offer good 4/1/2019 through 6/30/2019. 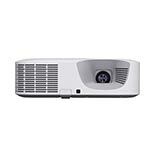 Epson L1200UNL Get a free projector lens when you purchase this projector (up to $2,999 value). Please call to specify lens model. Offer good 4/1/2019 through 6/30/2019. 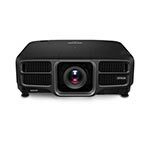 Epson L1300UNL Get a Pro L Series lens for free (up to $2,999 value) when you purchase this qualifying projector. Call in orders only. Offer good 4/1/2019 through 6/30/2019. 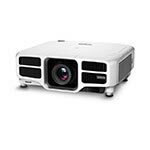 Epson L1405UNL Get a Pro L Series lens for free (up to $2,999 value) when you purchase this qualifying projector. Call in orders only. Offer good 4/1/2019 through 6/30/2019. 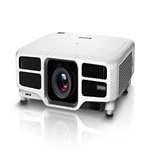 Epson L1500UHNL WUXGA Laser w 4K Enhancemnent Get a Pro L Series lens for free (up to $2,999 value) when you purchase this qualifying projector. Call in orders only. Offer good 4/1/2019 through 6/30/2019. 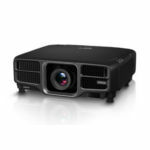 Epson L1505UHNL WUXGA Laser w 4K Enhancemnent Get a Pro L Series lens for free (up to $1,899 value) when you purchase this qualifying projector. Call in orders only. Offer good 4/1/2019 through 6/30/2019. Epson L1715SNL SXGA+ Laser Get a Pro L Series lens for free (up to $2,999 value) when you purchase this qualifying projector. Call in orders only. Offer good 4/1/2019 through 6/30/2019.